Social interaction is an important part of anyone’s health. According to a United Healthcare survey of centenarians, remaining socially engaged was just as important as fitness for aging healthily. The survey also shows that 89 percent of centenarians (people over 100!) talk with a friend or family member almost every day. Software such as Skype and Facetime allows users to have face-to-face interactions regardless of the distance between the two chatting parties. A study by The Phoenix Center even says that late-life depression affects approximately 6 million Americans over the age of 65, and costs the country about $100 billion annually. It also claims that regular online interactions can reduce senior depression by approximately 20 percent. 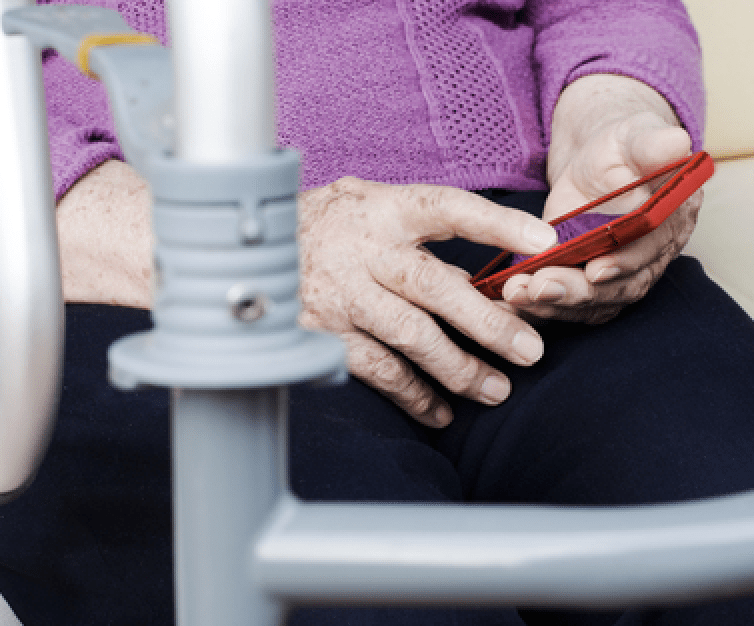 One hypothesis is that Internet use reduces loneliness and depression by providing communication tools for the aging population as mobility limitations increase, and the Internet provides a means of communication. The study uses many different methods for testing the hypothesis including logit models, linear probability models, instrumental variables and propensity score methods. In each case, they found that the results favor that Internet use by the elderly reduces the chance of depression. Another study conducted in 2003 in Technology and Disability found that as seniors learned to use the Internet, they had a greater amount of social contact and more satisfaction with that contact. Social media also can be a great tool for seniors. Wishpond reports that seniors over the age of 74 are the fastest growing demographic across social networking sites. Additionally, there are 39 million people over the age of 65 that use Facebook, Twitter and Skype. Social media allows seniors to stay in touch with friends and family, meet new people with similar interests and play games that can help to maintain mental reflexes and acuity. Wishpond also notes that seniors don’t just have email accounts but also search on Google, browse Facebook and watch YouTube. While nothing can replace the value of face-to-face conversations, social media allows seniors to stay engaged with the world at large as well as view and share images with their loved ones easily. There are many ways that technology aids in maintaining physical health and wellness in seniors. Many assisted living centers for seniors have found that motion controlled video games such as Wii Sports allow seniors to enjoy light physical activity every day. An article in The Atlantic even claims that “Wii Bowling has spawned entire leagues and tournaments, taking over nursery homes, retirement communities and community centers as one of the fastest-growing and most popular social activities.” The Michigan Governor’s Council of Physical Fitness, Health and Sports reports that regular aerobic exercise decreases body fat, improves bone density and contributes to a greater percentage of lean body tissues in seniors. Motion controlled video games provide a fun, social form of exercise that is safe and can lead to a better quality of life. Smartphones, such as the popular Samsung Galaxy S 5 and the iPhone 5s, are also great for seniors. They allow seniors the opportunity to access health and wellness programs online such as AARP programs, health tracking and medication management as well as their social media accounts and favorite games. These phones also come with great apps, such as RxmindMe, which helps track medications and supplements as well as offering reminders and schedules for those who find it challenging to track their medications. Various social media platforms have definitively made it easier for Seniors to keep in contact with family and the fitness apps are good for managing a healthy lifestyle. I love seeing the uses that seniors have for their i-phones. Contact with others on Social Media is only part of it – checking in with their partners to find their location in the Mall is just as important. nice topic , yes technology can reduces stress for seniors. they can in touch with their families. ‘Technology and the Elderly’ very interesting topic! Social networking sites for older people are wonderful ways to meet and share information with like-minded people. Social networking isn’t just for youngsters, there are many sites & applications suitable for older people on a wide range of subjects. But it’s a challenging task for developers to design an app for elders. Here, app developer needs to identify the key issues faced by elderly people while developing an app. While designing an app/a website, designers should identify the key issues faced by elderly people. They should keep UI/UX simple which helps seniors to navigate easily.